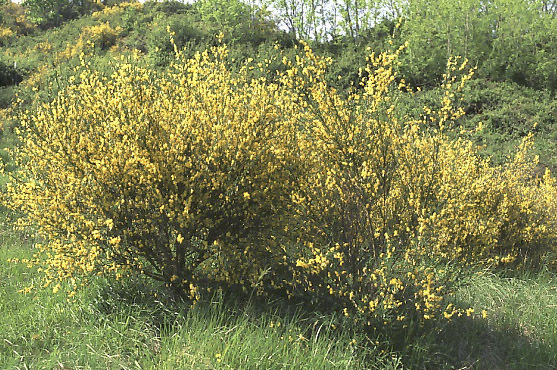 Broom is a small shrubby plant, with small round leaves and aromatic yellow flowers. The bright flowers are great for attracting bees to your garden. It's sometimes considered a weed plant in fields with sandy soil. When the plant is dried, the long and thin branches stay tough which is why it was used in broom-making (hence the name). Broom is toxic and should not be used in teas, or any other form that requires ingesting the plant. Broom is best known for its use in weather magick, specifically spells involving the wind. Burning broom can ease strong winds. Disclaimer: No information within this THREAD should be considered medical advice. Please do further research or check with a physician before using any of these herbs in a medical fashion.